Add a touch of Magic to your next event! Let Maria’s mindful drumming create an enchanting atmosphere for your guests. You are organizing a special event and you want to make it extra special – by adding an unexpected, magical element. Something that will create a unique atmosphere, helping to make it a memorable occasion for your guests – and one they will talk about afterwards. I can bring that touch of magic! I will come to your venue with my selection of traditional, handheld frame drums and perform one or two short sets, depending on the occasion and time frame. Guests often tell me they were pleasantly surprised to hear the music when they arrived at the event, and it was fun to find out where the music was coming from! It became a talking-point, both during the event and afterwards with their friends and colleagues. 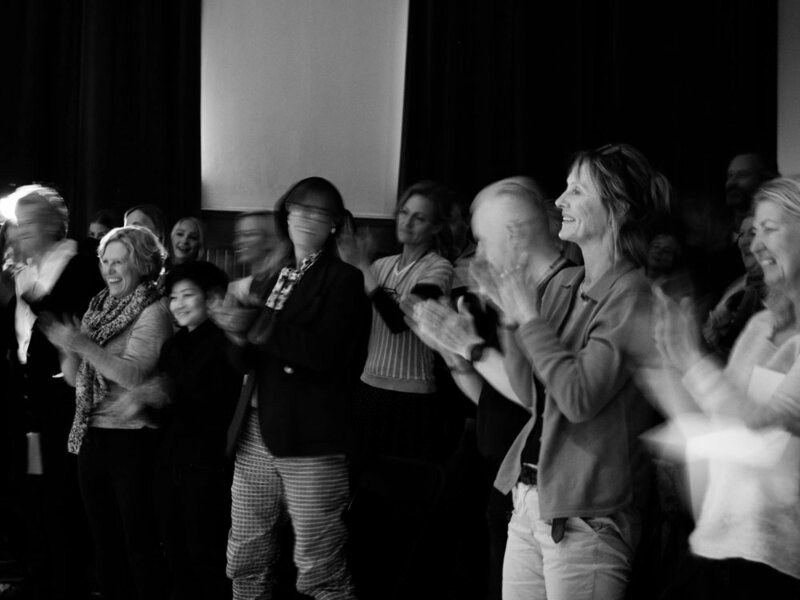 Launches: launch your new product, program or book to the melodies of mindful drumming! “Good for the ear, the eye and the heart”. “When we thought to have music at the opening of our photo and painting exhibition at Galleriverkstedet, we never doubted who we wanted! Maria is a skilled artist with great power and radiance, and her beautiful and mythical drumming created a magical mood. It united our images with the music to a strong and poetic experience”. “Beautiful woman, beautiful hands, beautiful dance over a drum skin, whispering and giggling rhythms from another place in life”. “Thank you for a lovely moment in your universe, beautiful Maria”. “You play with the air”. “Beautiful, graceful, musical and strong”. If this awakens your curiosity and sounds like an experience you would like to create for your guests, contact me via the form below and I’ll be in touch to talk about adding a touch of magic to your event.